In 1906 the Butokukai made its ﬁrst research into making a set of standardised kata for teaching its students (standardised kata for teaching had already been made in Tokyo shihan-gakko – Takano Sasaburo‘s gogyo-no-kata – and Keishicho – keishi-ryu). 17 members were selected from various ryu-ha, and a set of 3 kata were created called the Butokukai kenjutsu kata (武徳会剣術型). The individual kata names were: TEN (天 heaven), CHI (地 earth), and JIN (人 human). For some unknown reason, the kata were not popular or were not implemented successfully, and they disappeared. The photo below was taken on the 10th of August 1906 and shows the people involved in the creation of the kata. Names are given below. Front row from left-right: Negishi Shingoro, Abe, Sakabe, Shibue, Watanabe, Mitsuhashi, Tokuno, Naito Takaharu, Yano (all hanshi barring the last two). Back row from left-right: Ota, [unknown], Minabe, Nakayama Hakudo, Okuda, Yamada, Sayama, Yamazato. A new impetus for kata standardisation occurred In 1911 when (after years of lobbying) kendo and judo were added to the school physical education syllabus. That same year the Butokukai restarted its kata standardisation programme with the aim of creating kata to teach in schools. There was a lot of information published about the sequence of events that led up to the ﬁnal presentation of the kata in 1912, but some of the information in reports was abbreviated it seems, including the names of all the participants in the establishment of the kata. Takizawa Kozo hanshi did research on the subject and the following is his compilation of the entire members of the kendo no kata standardisation board (剣道形制定委員氏名). This list will probably only interest those people that wish to research more into the formative stages of modern kendo, and those with an interest in koryu and its impact on kendo. At any rate, it is presented below. – a list attempting to do the same can be viewed online here. Kyoshi. Nigata. Uemura. Kishin-ryu (貴心流). 6 members: Itto-ryu (closely related variants). 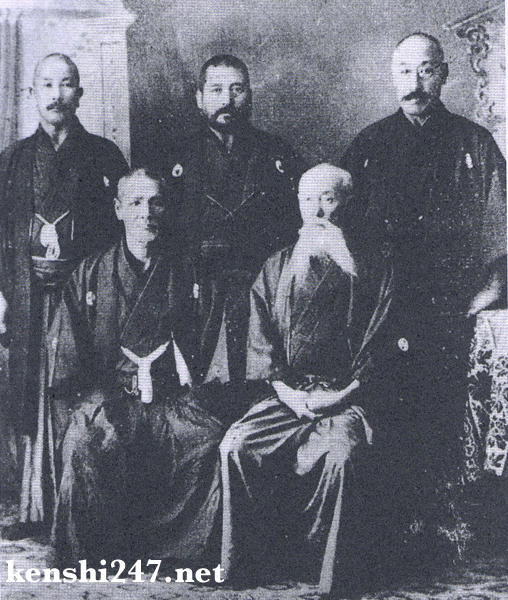 2 members: Mugai-ryu, Suifu-ryu, Shingyoto-ryu. Shinkage-ryu, Yamaguchi-ryu, Shingyoto-jikishinkage-ryu, Shin-ken-ryu, Kishin-ryu.